Each year for more than two decades, the AIA's Committee on the Environment has honored the best in sustainable architecture and ecological design. With support from the Board, AIA will release an important statement today on climate change. We wanted to give you a heads-up as well as provide you with the press release (with contact information) and a link to the statement itself. 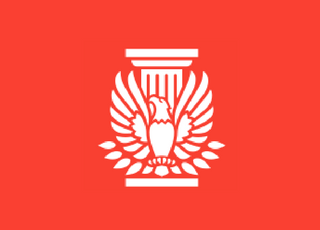 The Committee on the Environment (COTE) works to advance, disseminate, and advocate—to the profession, the building industry, the academy, and the public—design practices that integrate built and natural systems and enhance both the design quality and environmental performance of the built environment. COTE serves as the community and voice on behalf of AIA architects regarding sustainable design and building science and performance. COTE reflects the profession’s commitment to provide healthy and safe environments for people and is dedicated to preserving the earth’s capability of sustaining a shared high quality of life. The committee’s mission is to lead and coordinate the profession’s involvement in environmental and energy-related issues and to promote the role of the architect as a leader in preserving and protecting the planet and its living systems. COTE provides the AIA with knowledge about environmental issues and advises the Institute on environmental policy matters affecting the practice of architecture. The committee supports cooperation with educators and institutions of learning, manufacturers, government agencies, environmental organizations, and industry groups in advancing environmentally sound design processes and standards as well as environmentally innovative materials and integrated systems. To advance the importance of sustainable design to our fellow architects, within the Institute, and to the broader public. To educate architects about the environmental and energy-related impacts of design decisions & about how to incorporate sustainable design into daily practice. To define and promote the cutting edge of sustainable design for our profession. To foster leadership among architects in all facets of environmental decision making. To recognize environmental leadership of architects in practice, education, industry, and government. To maintain, refine, and strengthen alliances with professional and trade associations and other leaders in environmentally responsible design to coordinate our sustainable agendas to make our message stronger. To maintain, refine, and strengthen alliances with other AIA Knowledge Communities and committees, and serve as a resource to Institute initiatives and projects that promote sustainability in the built environment. To green AIA convention venues and meetings. To communicate the AIA’s environmental and energy-related concerns to the public and private sectors and influence the decisions of the public, professionals, clients, and public officials on the impact of their environmental and energy-related decisions. To educate architects on regulatory, performance, technical and building science issues and how those issues influence architecture. Educate the architectural profession on programming, designing, and managing building performance. To investigate and disseminate information regarding building performance best practices, criteria, measurement methods, planning tools, occupant-comfort, heat/air/moisture interfaces between the interior and exterior of buildings. To promote a more integrated practice in order to achieve environmentally and economically efficient buildings. One of the tools we will plan to promote to achieve this integration is Building Information Technology (BIM).